I installed the stacks plugin on Franz Josef theme and applied one theme to a test page. I’m lost as to what the steps are to use this plugin. Is there any training or step-by-step guide? Do I also need Site Origin Page Builder? I have boxes on the page but some have red highlights and everything says I have missing widgets? The Stacks plugin builds upon the SiteOrigin Page Builder plugin, which the theme has already included so there’s no need to download and activate that plugin separately. There is one major difference though: the SiteOrigin Page Builder plugin only changes the content area of you post/page. The Stacks add-on, however, uses the same SiteOrigin Page Builder interface but allows you to customize the entire layout of your post/page, except the header and footer. 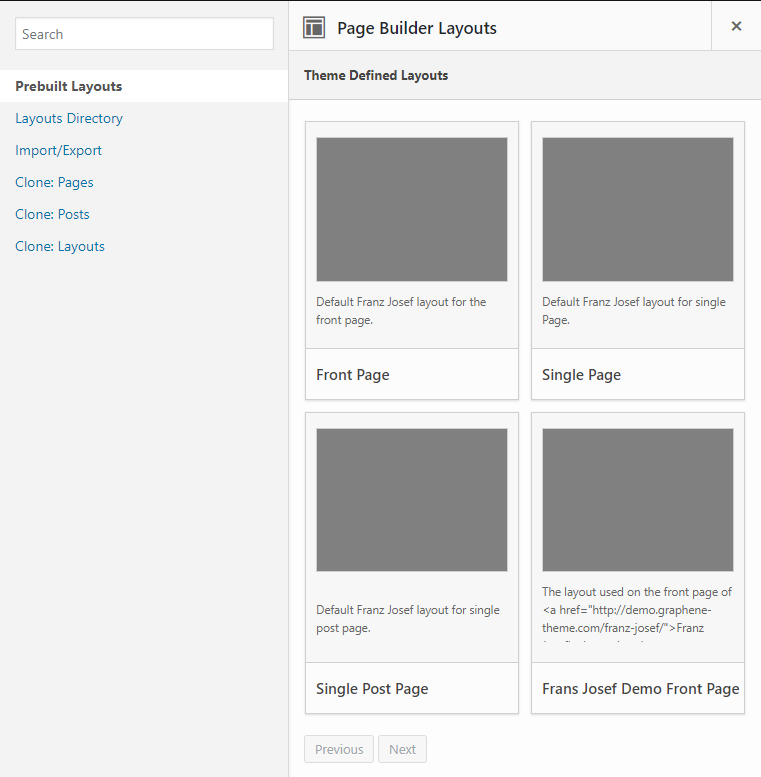 To get started quickly, you can try replicating the standard Franz Josef post/page layout in the Page Builder by clicking on the “Layout” button, and then choosing one of the included prebuilt layout for Franz Josef. See the screenshot below to see what I mean.